Rome Vespa Tour: make your visit more memorable! The excitement grows at Buzz4tours as the countdown for the arrival of a brand new Vespa has begun! The scooter rental service Buzz4tours offers its clients with Rome touring intentions, comprises the top of the range 125 cc Vespas sporting useful accessories such as USB holders to charge your mobile. The new arrival though is bound to exceed all expectations…your Vespa tour will be all the more memorable! The latest Vespa on order really is very special. It’s, in fact, a special edition produced to celebrate the Vespa Primavera’s 50th anniversary. 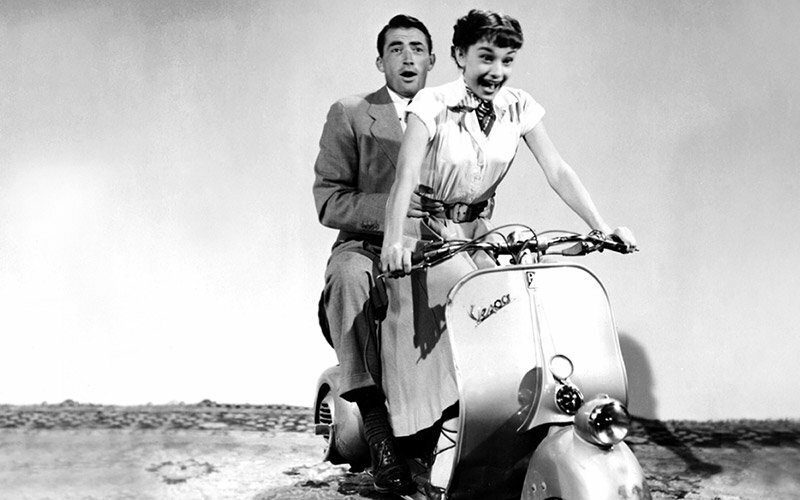 The ‘’birthday girl” is not the same as the one in “Roman Holiday”, the 1953 Hollywood charmer directed by William Wyler starring Gregory Peck and Audrey Hepburn. The one in the film was the V30T as Piaggio, the manufacturer, decided to call it. History buffs might recall that in those post-WWII days, the Marshall Plan which envisaged pumping a great deal of U.S. dollars into war-torn Europe was in full swing. Piaggio, who until then was a highly reputed aviation manufacturer with 21 world records under its belt, returned the favor. They, in fact, decided to convert from the aircraft industry to more practical and inexpensive vehicles for mass mobility. 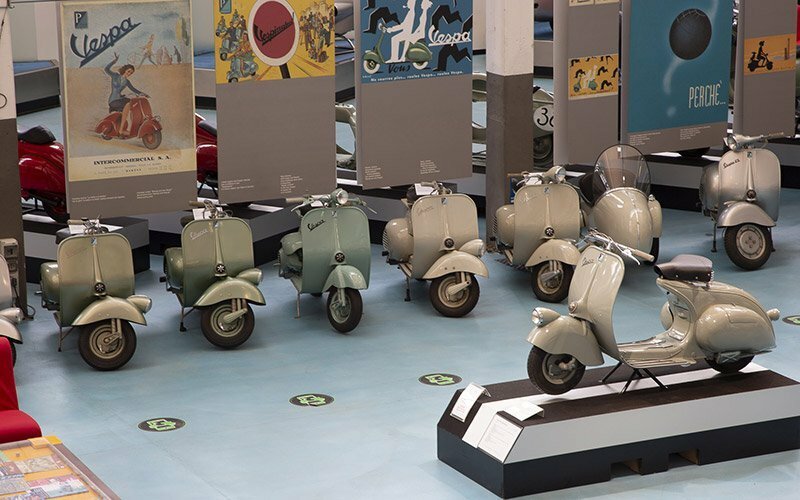 The two-wheeler “Paperino”, originally created for parachutists to move about on enemy territory, was redesigned by aeronautical engineer Corradino d’Ascanio to become the very first Vespa to befit ladies. The year was 1946. Returning the U.S. handout, Piaggio enlisted the help of a company in Philadelphia called Budd to help it develop its chassis. The results came soon afterward propelling the 1951 model into cinemas worldwide. 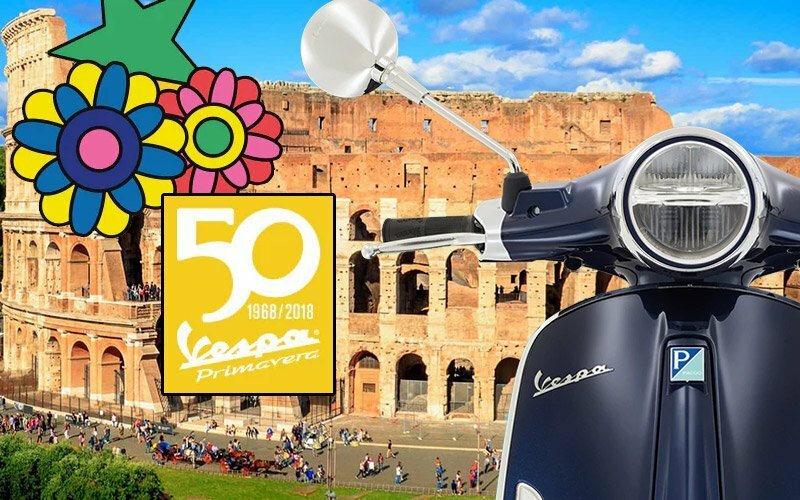 The first Primavera, arrived in 1968 and today, the 50th anniversary edition will bolster Buzz4tours’scooter rental fleet. As far as things to do in Rome go, touring Rome on a Vespa really is hard to beat. A common statement made by enthralled Vespa rental users is: “go it on your own and be master of your own time.” Indeed, some “bikers” may choose to join a convoy tour for their sightseeing pleasure, they will even get to play “follow the leader”! However, parents wishing to take young children out on a family tour will opt for the Buzz Buggie! While Dad or Mum drive, the children will love playing with the navigator or even the driving wheel… Undoubtedly their favorite. Not old enough for Ferraris perhaps but the Buzz Buggy will be a great start! Children are not the only ones to be charmed by Buzz, indeed senior citizens who don’t want to go on a walking tour of Rome are thankful for the buggy alternative to the Vespa tour. In short, if you’re wondering what to do in Rome then look to Buzz4tours to provide the fun way to see it.